Although treatment for obsessive-compulsive disorder (OCD) usually entails consulting with a qualified mental health professional, there are a number of OCD self-help strategies that you can start using right now to help cope with your OCD symptoms. Perhaps the most important OCD self-help strategy is to learn as much as you possibly can about your illness. OCD is a chronic illness that requires day-to-day management of symptoms instead of focusing on an ultimate cure. Having a chronic illness requires that you become an expert on your condition and getting informed is the first step. If you have OCD, you know that OCD and stress go together. While there are a number of ways that people choose to cope with stress, not all coping strategies are equally effective in managing OCD and stress. In fact, some coping strategies can do more harm than good. An essential OCD self-help tool is to learn good coping strategies for dealing with stress like getting enough sleep, eating well, exercising, meditation and sticking with your treatment plan. Like stress, OCD and excessive worry often go hand in hand. This worry can focus on the theme of your obsessions, the consequences of your illness or it can relate to everyday matters such as paying bills or performing well at work. Unfortunately, worrying can often consume quite a bit of energy and make it difficult to relax. Learning techniques for coping with worry, such as analyzing the probability of what you're worried about actually happening and deciding how to cope with the worst-case scenario should it happen, is a valuable self-help strategy. Given that stress and worry are major triggers of OCD symptoms, one of the best ways to boost your OCD self-help skills is to learn and practice a number of relaxation techniques. Deep breathing, mindfulness meditation, and progressive muscle relaxation can be very effective additions to any OCD self-help strategy. Most of us are familiar with the many physical benefits of aerobic exercise, including reduced cholesterol levels and lowered risk of heart disease and diabetes. However, there is growing evidence that exercise such as running may be an important OCD self-help strategy for reducing the frequency and intensity of OCD symptoms. 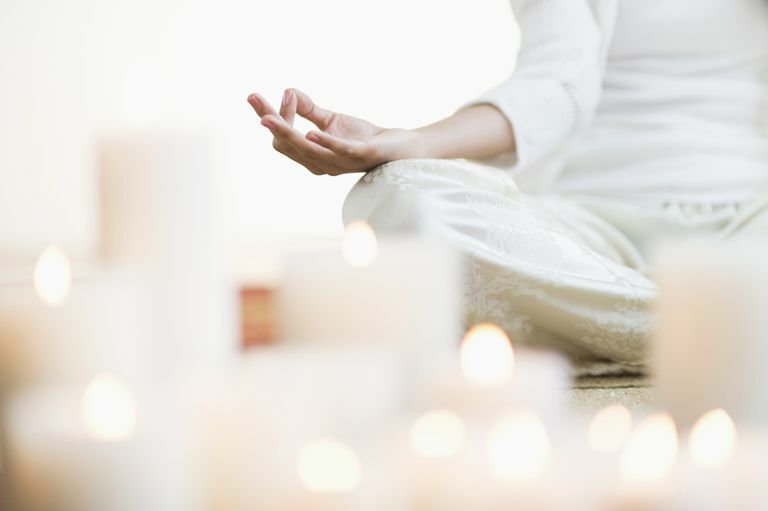 Originating in eastern spiritual traditions such as Buddhism, mindfulness emphasizes a non-judgmental awareness of bodily sensations, sights, sounds, thoughts, and emotions. There are a couple of ways in which mindfulness can help you cope with OCD. First, being mindful of distressing or disturbing thoughts may act as a form of exposure to feared obsessions, similar to a person who is afraid of dogs spending time with a dog to lessen the fear. Mindfulness may also help you become less invested in your thoughts and help you to realize that a thought is just a collection of words or images and is nothing to fear in itself. This can help to reduce thought-action fusion, a psychological process that can make OCD symptoms worse. Alternative medicines such as herbal remedies have been growing in popularity in both Europe and North America. Many people with anxiety disorders such as OCD have tried alternative therapies at one time or another. One of the most popular herbal remedies for anxiety is St. John's Wort, although the evidence is mixed as to whether it is effective. Of course, consult with your doctor before starting any herbal treatment.